Citizens Security Bank opened its doors in Bixby in 1924. It was a brave move on the part of the six founders, G. A. Brown, Lee Newlin, K.M. Rowe, Clyde Presley, O.W. Brown and Dr. H.P. Ward. The Bixby State Bank had folded the previous year. The six men believed in the potential and underlying strength of Bixby. They had a firm belief that Bixby would survive and grow. They wanted to be part of that growth. K.M. Rowe was appointed president at the first bank board meeting. G.A. Brown was appointed vice-president and Clyde Presley was appointed cashier. The board appointed Ivan D. Brown help Presley with the daily operations of the bank. the total capitalization of the bank at its opening in 1924 was $15,000. Ivan Brown was chief executive officer of the bank for approximately 40 years. After his death, George Brown, his son, was appointed CEO and chairman of the board. George Brown had worked at the bank since the 1950’s. Citizens Security Bank expanded the downtown location several times. The bank acquired a block of buildings that once housed Ellard Store, Brassfield Grocery, Frady Variety, Mitchell and Hearn Department Store, Gilmore Hardware and Dearston’s Western Auto along Armstrong Street. In the early 1980s the bank was reorganized. It was one of the strongest and fastest growing banks in Oklahoma. A bank branch was opened at 114th and Memorial and another in Glenpool, Oklahoma. Pauline Boatmun joined the bank in 1948. After working in all areas of the bank, she was appointed president in 1979. She remembers the hand posting of bank daily statements and the hectic move to computer technology. Pauline retired in January 1990. Homer Paul became president and vice-chairman of the board of directors. Homer Paul and the Mabrey family purchased controlling interest in the bank from the Brown family in 1994, after George Brown passed away. A new state-of-the-art facility at 148th and Memorial was built in 1999. Later another bank branch was opened at 3601 W. Kenosha in Broken Arrow, Oklahoma. Homer Paul retired in 2004. He sold his interest in the bank to the Mabrey family. THE Mabrey family purchased the remaining shares of Citizen Security Bank stock. 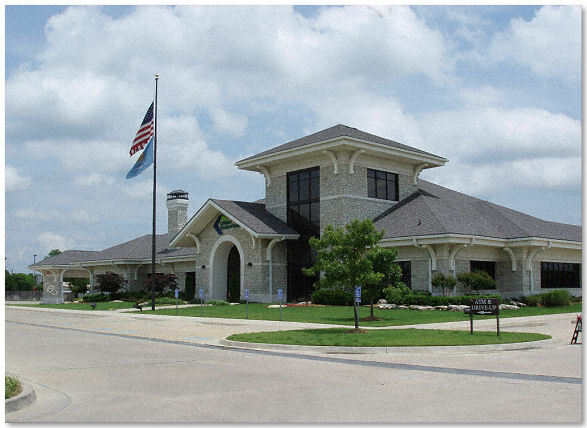 For the past eighty-two years, Citizen Security Bank has served the community of Bixby and the surrounding areas. It has grown with the community and helped the community grow.